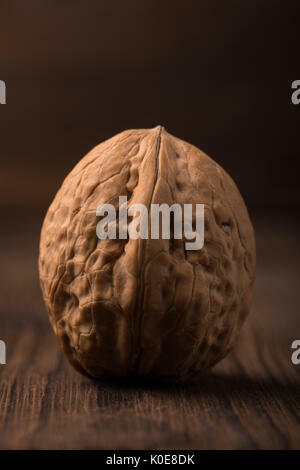 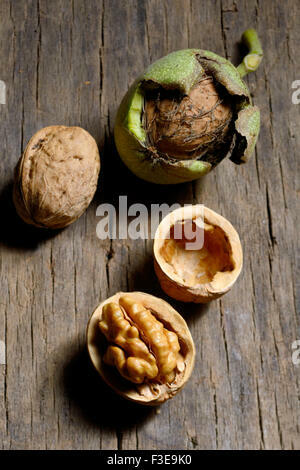 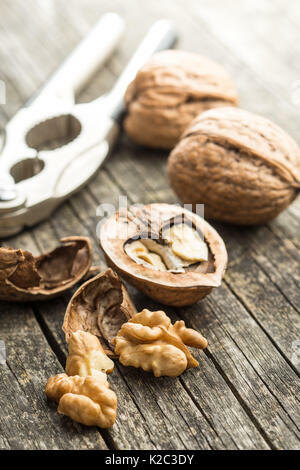 A beautiful large walnut in a shell on a wooden background. 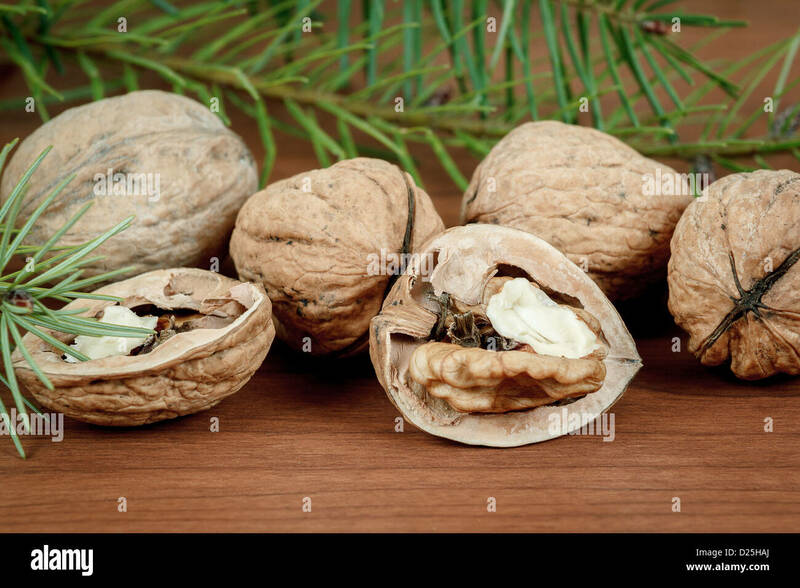 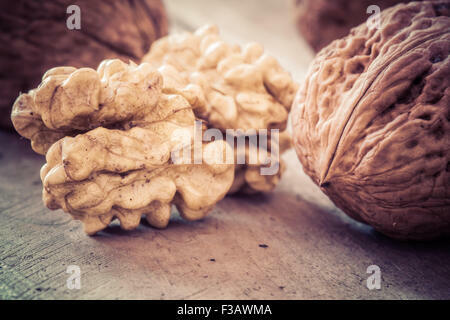 Nut and background of one color. 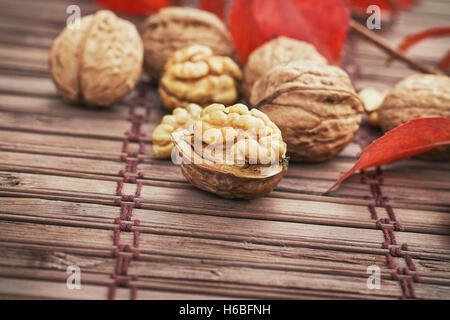 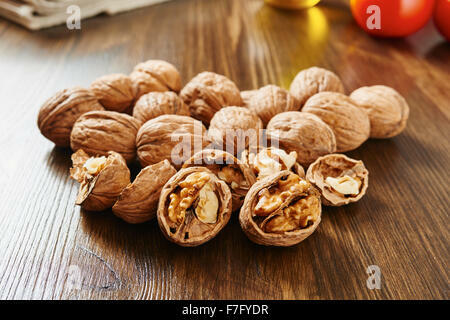 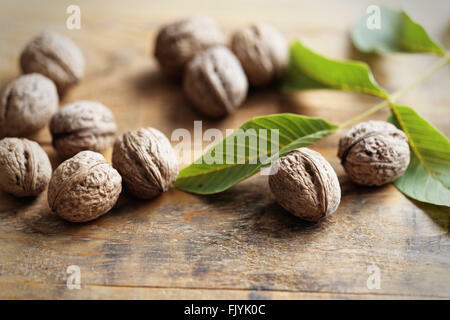 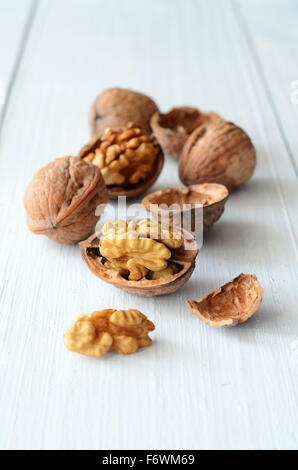 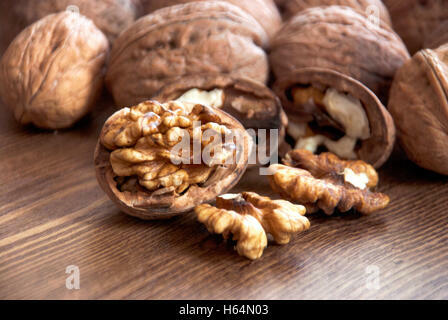 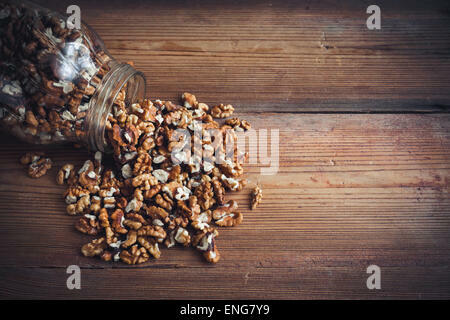 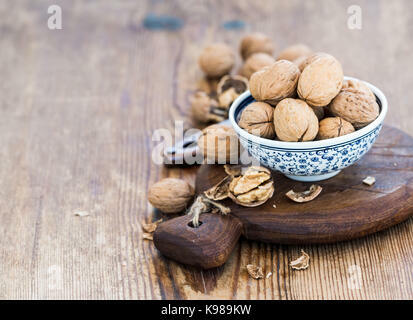 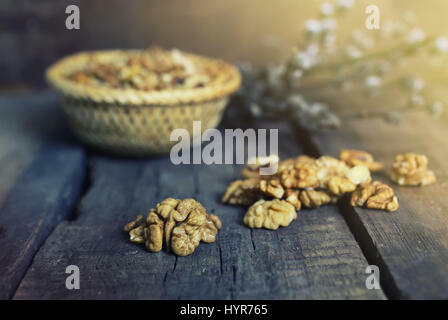 Walnuts on a wooden surface.